EA SPORTS UFC 2 innovates with stunning character likeness and animation, adds an all new Knockout Physics System and authentic gameplay features, and invites all fighters to step back into The Octagon to experience the thrill of finishing the fight. The game delivers an experience for every fight fan, including five brand new game modes, a revamped Career Mode which introduces the option to create female fighters for the first time in a UFC game, and a new Title Chase system for Online Championships. No matter what kind of fighter you are, there’s a mode to match your style of play.finish the fight with devastating knockouts in the all-new KO Mode, create and customise a team of champions in UFC Ultimate Team, or craft your dream fight card in the Custom Event Creator. EA SPORTS UFC 2 has a mode for every fight fan. 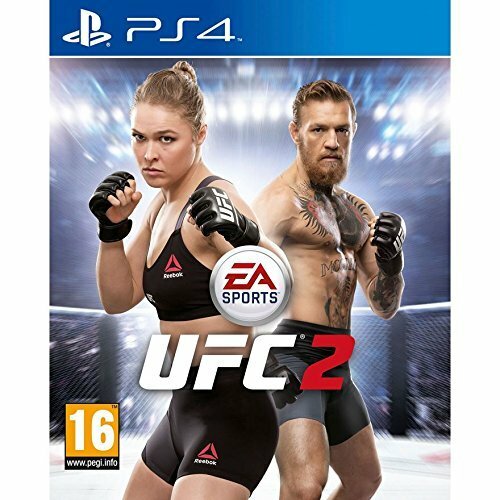 All along the way, EA SPORTS UFC 2 is in your corner with all the tips and Tools to Master MMA. You’ll be fighting like a pro by hitting the gym in Practice Mode or following the visual cues in Grapple Assist, an in-game display to guide you through takedowns, submissions, and much more. From the walkout to the knockout, EA SPORTS UFC 2 delivers a deep, authentic, and exciting experience.